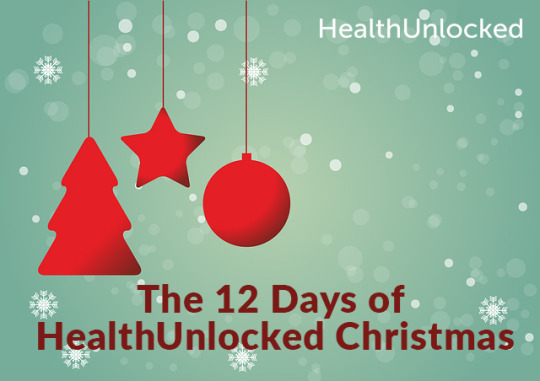 Today we have officially launched the 12 days of HealthUnlocked Christmas. Each day we will feature a different condition or disease in a new blog on HealthUnlocked. To do the campaign we are partnering with 12 charities and nonprofit organisations. Each day we will feature a new disease or condition, including its prevalence, symptoms and where you can get more information or support. You can help support the campaign and ensure everyone gets the support and information they need, by sharing our day and the blog on Facebook or Twitter. Our campaign is a slight twist on the traditional 12 days, running in the days up to Christmas (rather than after).